I made a story game called ibis, fly! It’s about being an ibis, and not really fitting in, and simple pleasures. It has four possible endings and a (sort of) win condition, if you’re into that sort of thing. Structurally it’s far simpler than Detritus, and it should only take you five minutes or so to play it through from beginning to end. If you have bug reports or feedback please let me know. 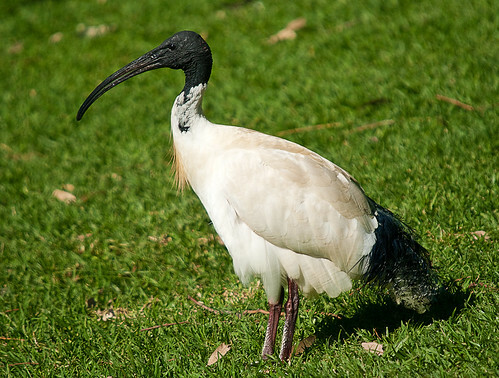 On another note – I feel for Ibis me. My poor Ibis is non-existing. Well, both of those are genuinely weird, and I’m sorry that happened. I can’t work out where the broken bit of code is on the first one, and the second one ought to be impossible. :-/ did you visit anywhere else beforehand? If Tree and Garden are the same place, then no where else after given the choice of where to go. I imagine that the second is what happens if you keep playing it when there is a broken “end if” laying around. In more positive news – I’ve continued to enjoy your posting, and it has kept me filled in and thinking on games. Also getting me onto Twine games, which are pretty funky and I want to explore when I have more time or a non-linux machine.